Welcome to A Child’s Garden. Class groupings include Preschool, Pre-Kindergarten, and Transitional Kindergarten. We believe that school should be a place where children feel safe and nurtured and are able to learn at their own pace. 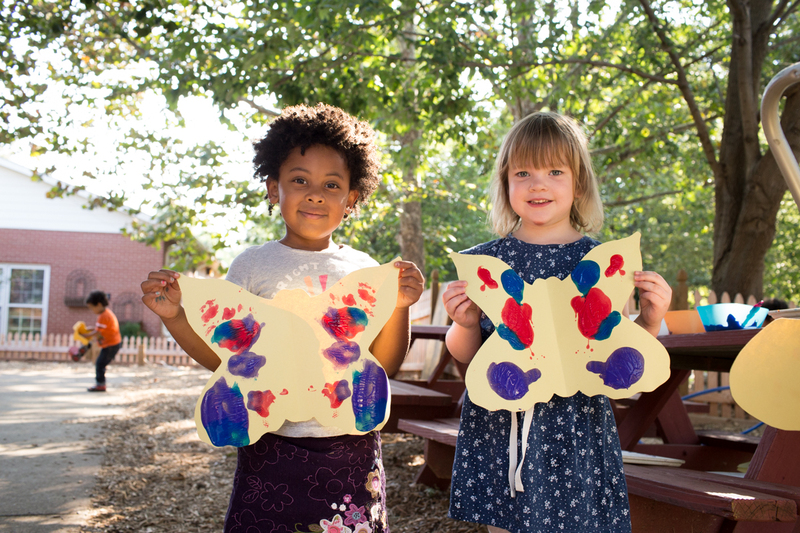 NGFS offers school-year and year-round preschool options for families as well as part-time and full-time attendance. Find out more about preschool admissions here. 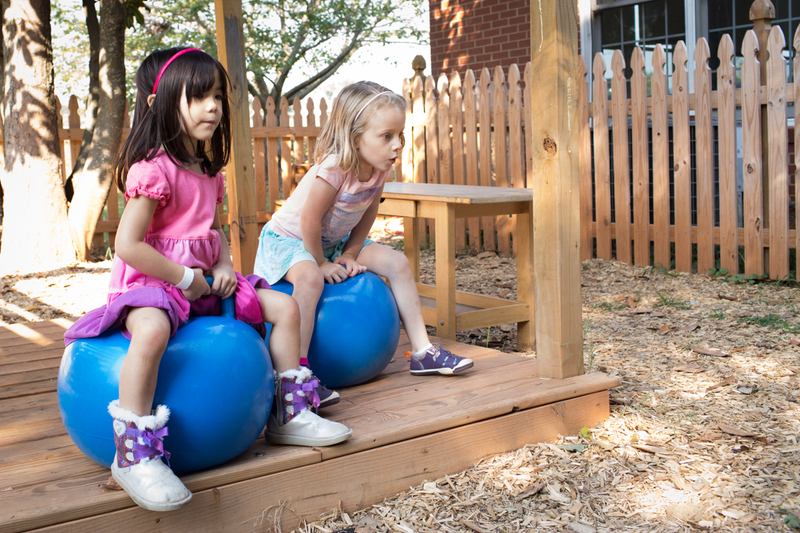 At New Garden Friends School, we know that children work and learn through play. In early school, our days are designed to encourage children to explore their surroundings both inside and outside the classroom. Teachers model problem solving and decision making by demonstrating appropriate language and behavior, helping our children learn the social skills necessary to thrive in group settings. Hands-on, experiential centers such as building with blocks, playing in water and sand, dramatic play, working puzzles, creating things, and listening to and looking at books complement the classroom. 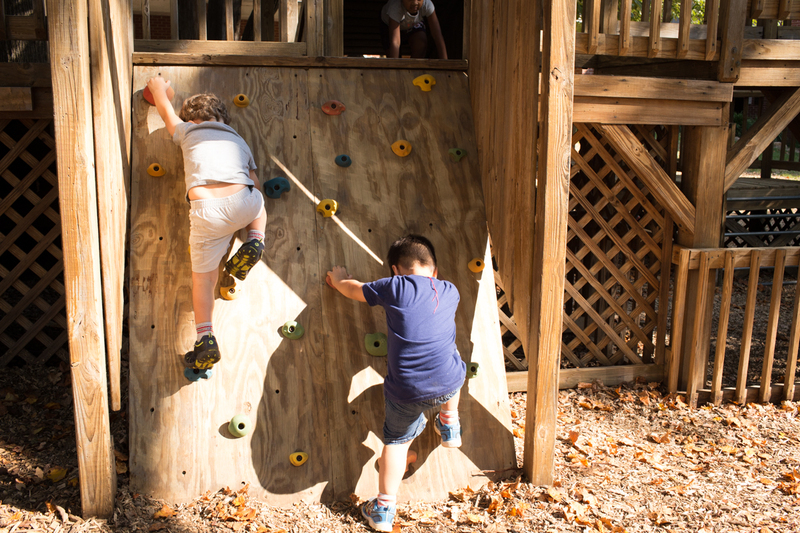 Outside, children take walks in the nearby woods, ride tricycles, swing, and climb on the play structures. Small group and large group settings provide instruction in areas of interest such as science, music, pre-reading, and listening. Our Pre-K curriculum, Get Set for School, provides play-based instruction that engages young children and gives consistent opportunities for meaningful learning. Pre-academic skills in the areas of pre-reading, pre-writing and math are taught in an integrated approach to make learning meaningful and engaging. Please see these Frequently Asked Questions for more information. Our youngest students enjoy music, library, art, PE, and Spanish resource classes as part of their weekly schedule. Spending time with “the big kids” is a favorite of our youngest students. Fifth and sixth-grade students, as well as visitors from our Page-Frederiksen Campus, often spend service learning time reading and playing with preschoolers. 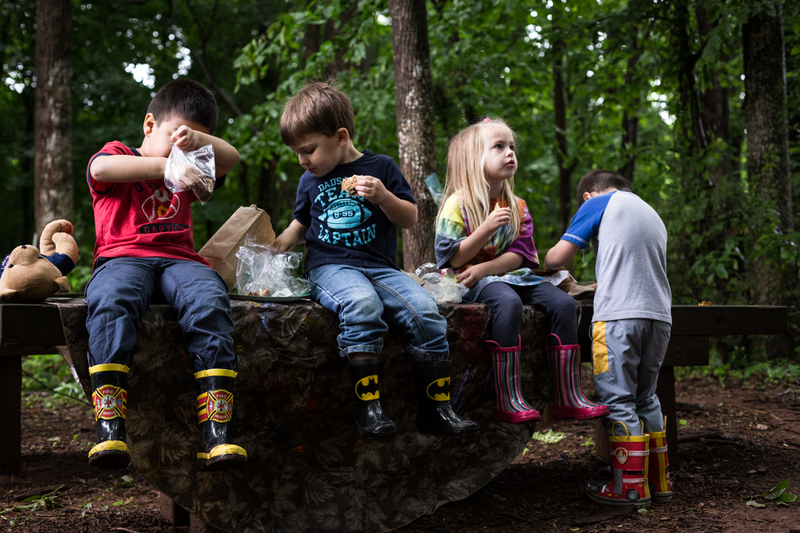 For many families, A Child’s Garden is the first formal school experience. A relaxed transition into the school day allows parents to linger at drop-off, chat with a teacher, and observe briefly as their child becomes involved in classroom activities. Gradually, a community develops as teachers begin to know children and children become accustomed to the routine, environment, and their teachers. Morning separations become simpler and children quickly become involved in morning activities upon arrival. Self-help skills such as learning to put on your coat, opening your lunch box, and putting your papers in your tote bag, are all things that children begin to learn and master during the preschool years. Teachers provide the support for such accomplishments to occur.